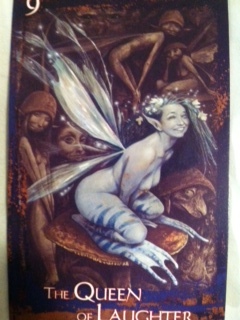 Message from the Faeries: If you haven’t been having any fun lately then it’s time to get at it. It’s easy to get caught up in all the seriousness and business of life and lose sight of the big picture. As far as we are concerned, a life without fun is not a life worth living. So if you aren’t having any fun, then you are doing it wrong. Some of you might not want to take our advice. Why would you listen to the faeries? We are notorious partiers and we don’t seem to take anything too seriously. Correct? Well it is true we love to play, make games and have lots of fun, but we do take the business of partying very seriously. The more joy and laughter, then the better a life and a more livable world. One of the reasons you all have so much stress in your lives is because you take yourselves and everything else so seriously. Lighten up a little! We challenge you to spend at least 30 minutes each day doing something that you enjoy and brings you joy. It has to be activities that you don’t normally do, like dancing, singing or going to a new restaurant. It’s time to shake things up a little and bring more smiles to your hearts. Then, pay attention to how these moments of fun each day impact how your week goes, overall. Maybe you’ll decide to make a regular habit of it. 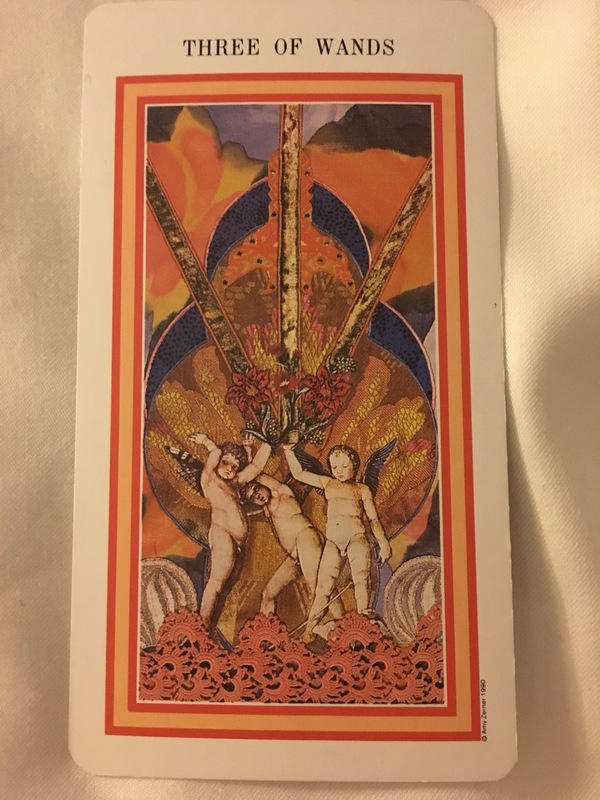 Card: Three of Wands – from The Enchanted Tarot by Amy Zerner and Monte Farber. We are keeping it short and sweet this week! 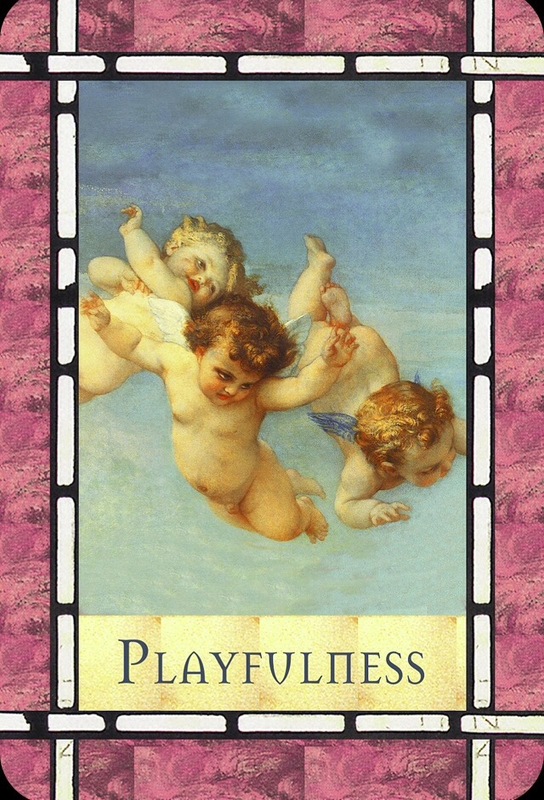 Card: Playfulness – from the Healing with the Angels Oracle Cards by Doreen Virtue. 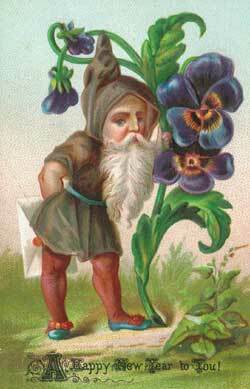 Message from the Faeries: It’s easy to get caught up in the mundaneness of life. Most of you have to work to get by in the world. You have your daily routine. Get up, go to work, work all day, come home, make dinner, watch tv, go to bed. The next day you wake up and start all over. Frankly, this is no way to live life. We understand that most of you don’t feel you really have a choice and we respect that. The reality you born into really doesn’t present you with many options. However, you do have choice. We propose that you try to have a bit more fun. Try, every day, to do something you find to be fun. It has to be somethings playful. So, maybe after you finished your dinner, don’t turn on the tv. Instead do something you really enjoy. Whatever it is. Sewing, writing, going for a walk, going out for tea with a friend, singing a song, dancing, exercising…whatever you think is fun. You may try to convince yourself that you don’t have the time or energy, but this is just your ego. Ignore it. When you do the things you find fun, you have more energy. Think about all the people you know that make a living doing the things they love – artists, musicians, athletes, etc – they are successful because they do activities they enjoy all day long. Imagine how you would feel if you purposefully added enjoyment a and playfulness to your life. Children are often having a good time, playing and they have no guilty feelings about it. They want to play and they just do it without a thought. They get cranky when they can’t play when they want to. Well, if you are feeling a bit cranky, maybe it’s because you aren’t letting yourself play enough. 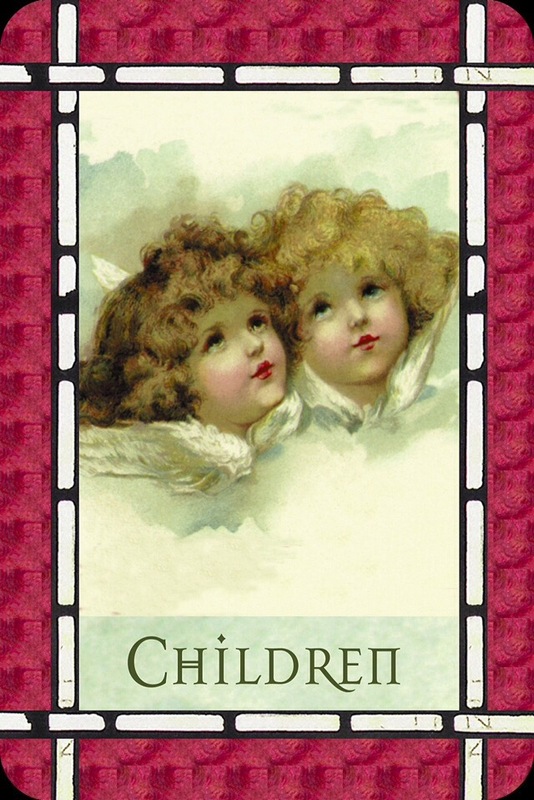 Card: Children – from the Healing with the Angels Oracle Cards by Doreen Virtue. 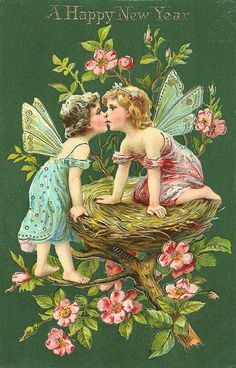 Message from the Faeries: For those of you who have children in your life, we ask that you spend some quality time with them this week and that you give them extra attention. This is not so much for their own benefit, although they would benifit, but it’s more for your own sake. Sometimes people get too caught up in adulthood and being an adult. There is a bit of a lie that most people buy into that being an “adult” is such an important thing, and that it’s much more important that being a child. This is simply not the case. In fact, we thing that being a “child” is far more superb. Children are so wonderous. They are full of this special energy and they carry such pure qualities. They are more connected to the world around them and they don’t have all the hang-ups that adults seem to have. It’s sad when a person loses their innocence or when they are burdened with so many responsibilities that they forget how to have fun. Even if you don’t have children in your life, remember some of the joy and wonder you experienced as a child. What can you do to capture some of that for yourself today? What sparks your curiosity and your questioning mind? What inspires you to hop, skip and jump? Have you found any treasures recently, and did you bury them somewhere secret and draw a map? When was the last time you pretended to go on an adventure and packed yourself some food and some of your favourite items to begin your quest, only to go and hide in the park for a few hours? There are some “adults” who have managed to keep their childlike wonder about them their whole life. If you met someone like that you would know right away what we are talking about. They are forever young and very happy people. It’s not too late for you to rekindle that part of yourself. We hope you are able at least give your inner child a play date. Go hide in the forest and make up stories about the faeries that live there. Make a blanket fortress. Scrounge the house for change and go to the corner store for candy. Do whatever you fancy without a care in the world. Card – 9 The Queen of Laughter – from The Heart of the Faerie Oracle by Brian and Wendy Froud.. Message from Erin: This is the second time we have received this card in the past year! The first time was in January. This past Friday I saw Dr. Michael Wesch do a keynote speech, and one of the messages from his lecture that really struck me was that it has been proven through many studies, including his own, that students learn best through fun. If you want someone to actually learn something, learning in the sense of it becoming knowledge, then the best way to teach someone is through some sort of fun activity or actively engaging them. This, of course, makes total sense to me and it’s no wonder that so many kids are having trouble learning in school when it’s mostly just about remembering facts as opposed to actual learning. Anyways…the point of what I am saying is that it’s important to have fun! Having fun not only brings joy, laughter and happiness into our lives, it also is good for our brains and our body. It’s integral to our very well-being and health. Today, as I was walking down the street, I kept hearing the message: “If you aren’t having fun, you’re doing it wrong.” -This is the message that The Faeries had for me today, and this is the message that they have for you. As a Buddhist, I fully acknowledge the statement “Life is suffering”, but to be quite honest with you: Why in the hell would I bother coming here to Earth if it wasn’t to have some laughter and fun?! Yes, we live in a dualistic world where there is pain and suffering, and there is also joy and happiness. The thing is, here is the clincher, you also have choice! Free will! You can choose to be happy or you can choose to be miserable. The choice is ALWAYS yours. You may believe that you have no choice in the matter – to this I say that you have chosen to not exercise your free-will (and hey, you made that choice). Sometimes it’s easier to lay blame than to take responsibility, I get that. I propose to you that it may be in your self-interest to be a little more pro-active and that you might want to choose to have more joy, laughter and happiness in your life. I’m telling you, it’s super worth it, and YOU are super worth it. I have seen time and time again, in my own life, that when I focus more on the joy of life, when I am feeling grateful and counting my blessings, lots of really great things start happening all around me. Not only is my life more awesome when I am laughing and having fun, but the people around me are also having a good time. I have also noticed that when I spend less time around people who often use negative-speak or who are energy vampires, I tend to feel a lot better. I also make more of a conscious effort to not watch violent movies, and to limit my time in media. Why would I want to subscribe to and encourage all the sludgy energy that surrounds me day to day? I do not avoid the shadows and the darkness though. I actually love “the darkness” as much as “the light”, but what I am simply saying is that I don’t want to focus on the darkness as much as I want to put my attention on the joy and the light. Life can be difficult, so why make it more difficult? My hopes and prayers for myself and for all of you this week is that we are able to hold our heads up high during these crazy times, and that we are able to fill our own lives, and lives of others, with joy, laughter, happiness and love. I pray that we do not get swept away by the tides of fear, greed and sorrow. I pray that we are able to open our hearts and let love shine out and within. We all deserve to smile, laugh and and have fun.